ARTISTS: thatta, mothercoat, moja, MontBlanc(モンブラン）. mothercoat gets all the blame for your boredom mothercoat consists of gigadylan(vo.? ), tokirock(?.vo), so(gt. 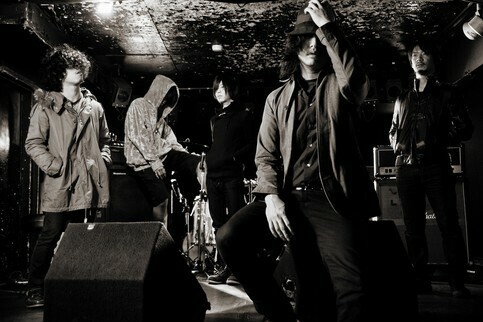 ), irimajiri(dr.), junpei(sounder), an intellectual-like rock band which is revolving helter-skelter on music as its axis. There is no end to the number of people who are fascinated with its egoistic activities, so do countless people leave mothercoat because of the self-indulgence. Responsibility is not living up to other people's expectations but to show our true self at the moment. MontBlanc www.myspace.com/montblancband In Japan, the best things come in twos. Formed in the womb but formalised in 2008, Japanese duo MontBlanc mix electronica with live instruments (and sometimes a backing band) to create an eccentric style. Identical twin brothers Gen and Dai ooze an infectious fervour that has seen their party-starting live act spread to venues all over Tokyo, and the fresh vibe of their recordings belies their studio- based creation. As children, Gen and Dai were raised on their parents’ record collections ? The Beatles were a household favourite, as well as melodic Japanese pop artists such as Kyu Sakamoto. They later discovered electronic music and skate culture, with influences ranging from RJD2 and LCD Soundsystem to Beck and Modest Mouse and an affinity for Manchester acts like Joy Division. The pair formed bands in high school, but later, in 2008, decided to make music together as a duo. They write songs individually and then arrange them together in their Tokyo home studio, performing at clubs and venues as a twosome or with a band. It is a COOL FOREIGNERS AWARD at 2010/10/27. "ITC (UK music festival)." Attention is attracted in and outside. 2012 TOYOTA "Camatte" concept car image song offer.